Attending seminars and exhibitions in Australia or around the world is something I have always enjoyed. I find these events to be extremely valuable when trying to network, be known and help your organisation expand. While I still attend these amazing events I have found an excellent alternative. 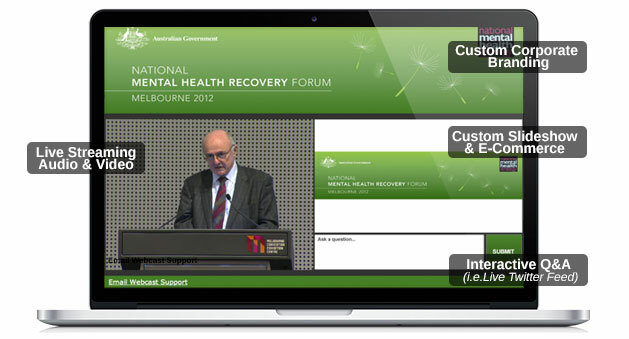 Webcasting allows me to give talks to huge audiences at any time in the year. There is no need to host a seminar, wait for bookings to come in from various locations throughout the world. Now I am in control of what I say, when I say it and how often I want to reach out to my audience. I began experimenting with the medium within my own organisation to start with. My interest began when we starting holding meetings using live streaming webcasting, and the benefits were clear to see. I knew immediately the advantages and possibilities which were within reach simply by using similar technology and focusing the broadcast to the public rather than simply in-house. Very quickly I was able to reach vast audiences and share any information I wanted even at short notice. It was possible to put on a professional video and share it with those who requested permission to attend. This was a fantastic tool to increase the numbers on my mailing list and spread the word about my services. Another benefit was this marketing tool was also beneficial when it came to increasing the number of followers and fans I had on Facebook and Twitter as well as Google +. The main difference I noticed between attending trade shows, conferences and exhibitions was the reduced time needed to achieve even greater results and reduced costs. There is no need to travel to set locations. I can film within my offices or at a location close by which would suit the topic I’m covering. That means I am able to save money by not paying for transportation costs, accommodation, extra meals or any other expenses. I’m able to focus a large proportion of our marketing budget on the creation and advertising of the videos. And believe me, the budget goes at lot further than it did previously. Provide excellent content, insights from your own experiences and research and connect on a personal level with those who can benefit your organisation. Webcasting has multiple benefits which range from increased audiences, reduced costs and higher revenues. Find out more by contacting the webcasting professionals at Webtron who are ready to help you achieve your goals.